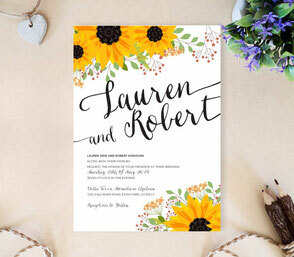 As your special day quickly approaches, let your love ones know they’re cordially invited with one of our Country Wedding Invitations. 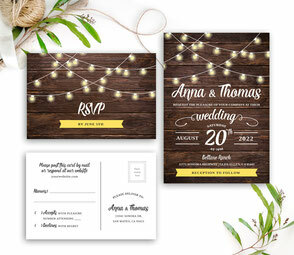 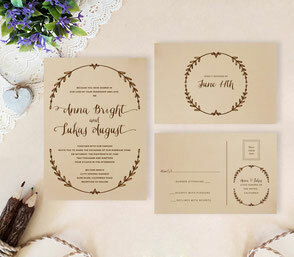 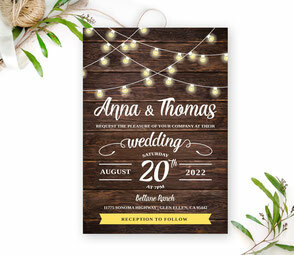 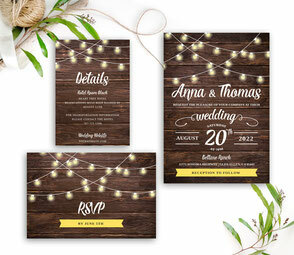 Just like you and your S.O, our rustic country wedding invitations will perfectly match your upcoming nuptials. Our invites will also set the tone for you rustic outdoor wedding and have your guests looking forward to celebrating your everlasting love. 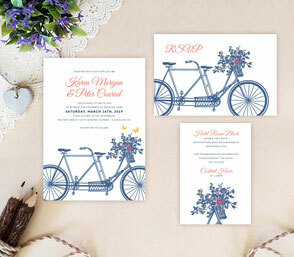 No matter where the wedding ceremony is set, our country themed invitations will share the details surrounding your day in a joyous manner. 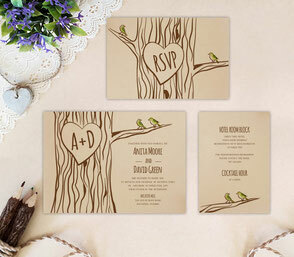 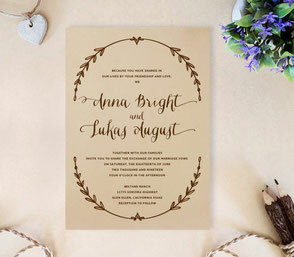 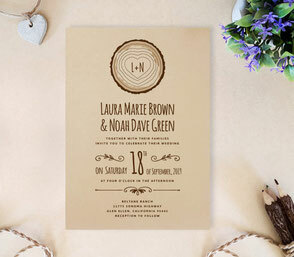 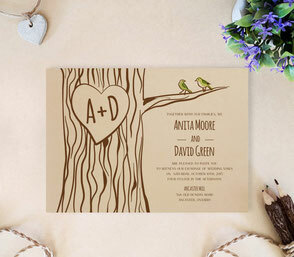 All of our invites are printed on premium card stock and showcases vintage, country themes inspired by nature. 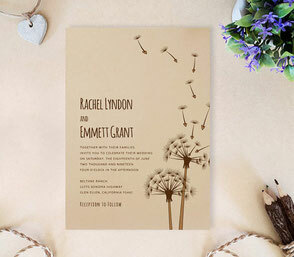 I absolutely love my wedding invitations!! 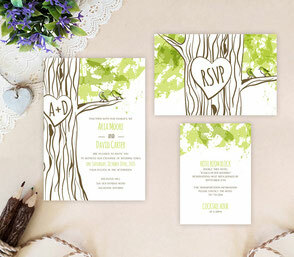 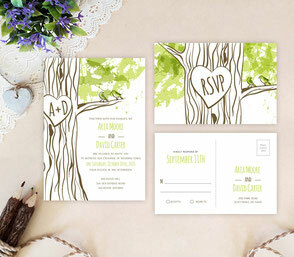 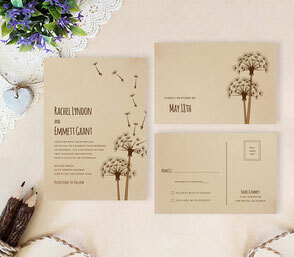 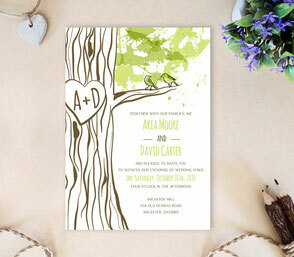 I ordered the Kraft Tree invitations and rsvp cards since we are having an outdoor wedding and they came out fantastic! 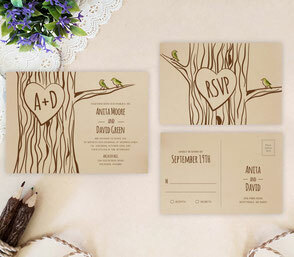 Lena was a pleasure to deal with, and she even changed the color of the birds to gray for me. 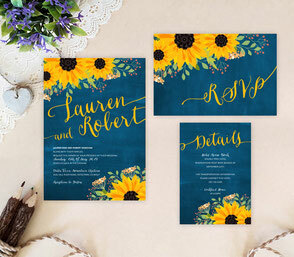 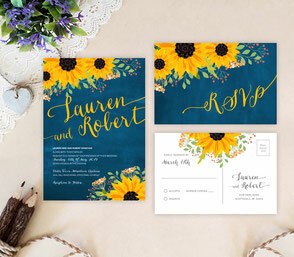 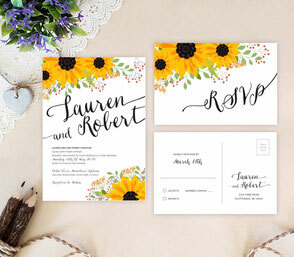 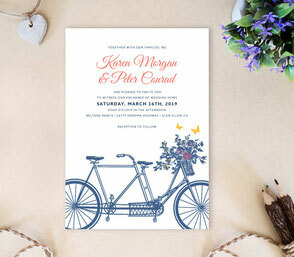 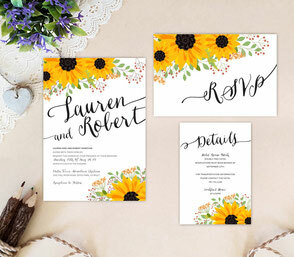 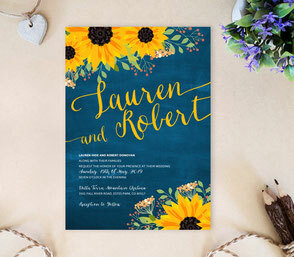 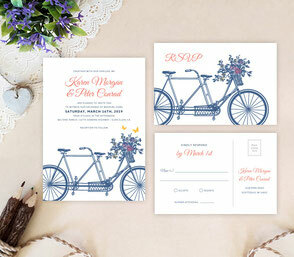 I would definitely recommend ordering from Lemon Wedding--the invitations are affordable and the quality is outstanding. I am very happy, and can't wait until I mail them out!